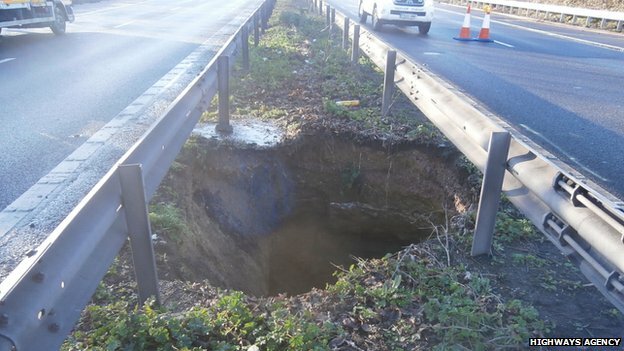 So, the saga of the saggy middle motorway which lead to a rather aggressive 15ft hole opening up just near Sittingbourne on the M2 continues. 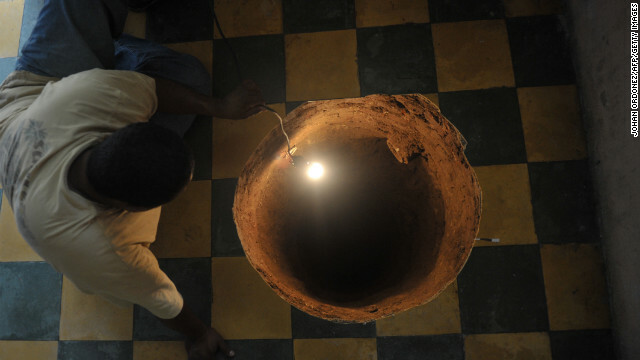 Geotechnical (a bloke looking down the hole thoughtfully) investigations are ongoing to discover what caused it to develop. 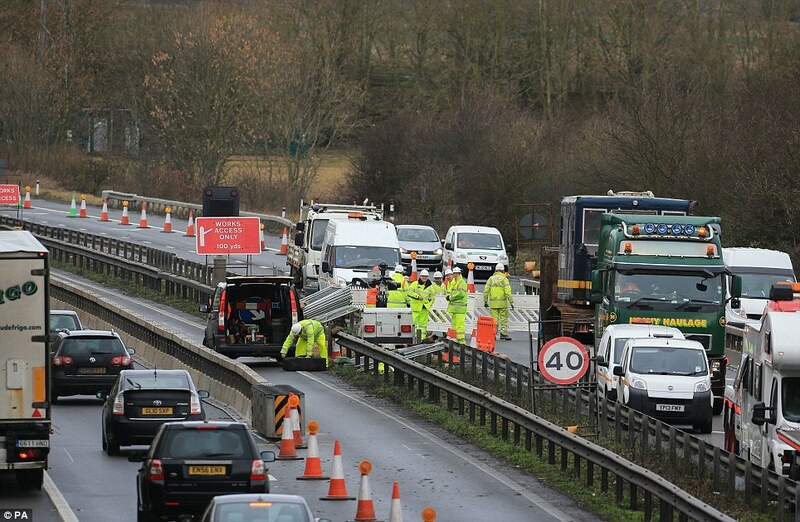 Lucky it couldn’t have happened in a better spot as a few yards either side and it might also have swallowed up some poor driver with their car – and we can but guess that outcome! 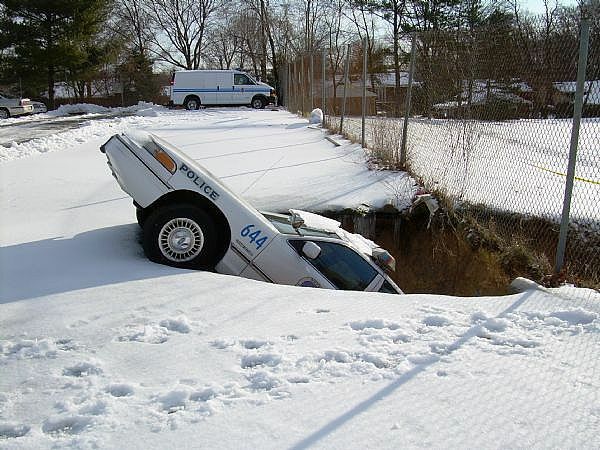 What exactly causes a sink hole? 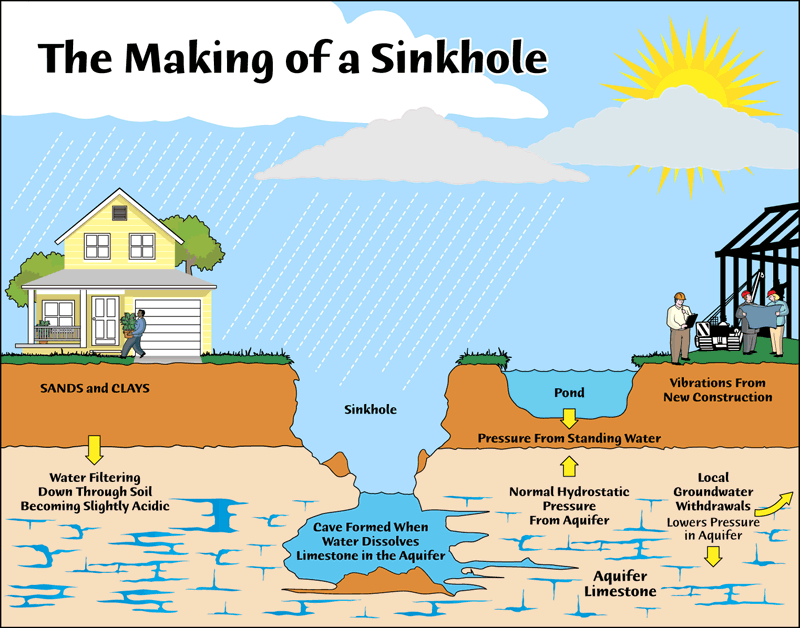 I had absolutely no idea, then I found this graphic has helped to demystify this phenomenon somewhat! 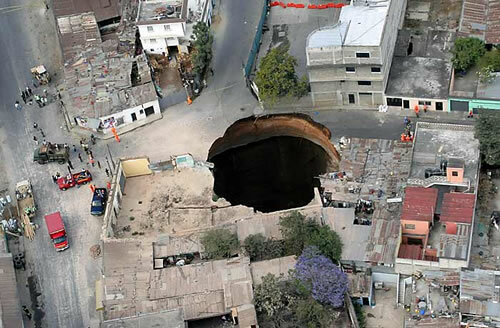 That said – there have been bigger sink holes…none of which I’d want to be living near when they open!! Eeek! 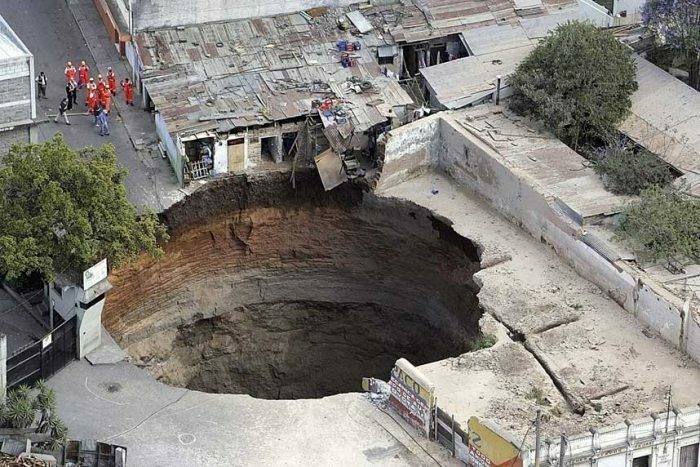 Someone actually disappeared down that hole! 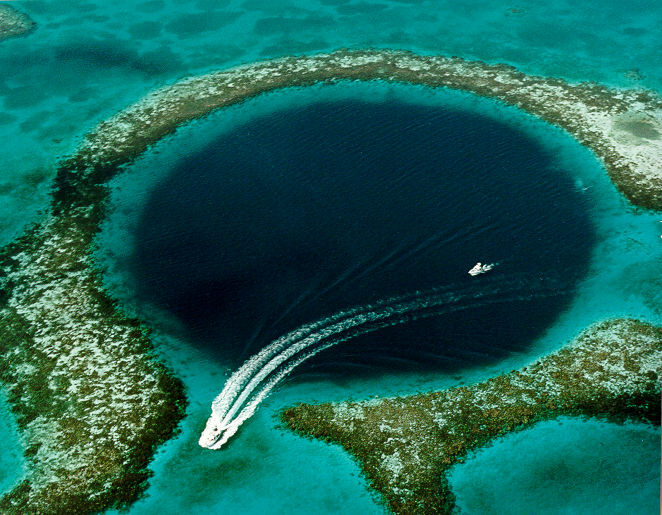 What a glorious hole…the Great Blue Hole near Ambergris Caye, Belize.